Dr Andolina received his undergraduate degree from The Ohio State University and his dental degree from the State University of New York at Buffalo, School of Dental Medicine. He completed a general practice residency at Millard Fillmore Hospital in Buffalo and has been practicing dentistry in Hornell since 1982. 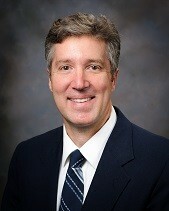 Dr. Andolina Holds many leadership positions in organized dentistry and within the community. Among many other positions, he is currently the President-Elect of the New York State Dental Association and Vice-Chairman of the American Dental Politial Action Committee (ADPAC). 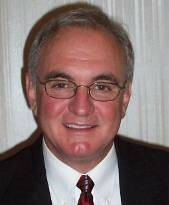 In addition to his dental responsibilities, Dr. Andolina is very active in the community and is currently Board Chairman of Maple City Savings Bank in Hornell,NY. Dr. Batte received his undergraduate degree from Alfred university and his dental degree from the State University of New York at Stony Brook School of Dental Medicine. After completing a general practice residency at St. Claire's Hospital in Schenectady, he began practicing dentistry in Hornell in 1990. A few years later, he earned a masters degree in biomaterials from SUNY Buffalo School of Dental Medicine. In addition to serving his patients in Hornell, Dr. Batte practices part time in the dental department at the Bath VA Hospital. Dr. Batte is a member of professional organizations that include the American Dental Association, New York State Dental Association, 7th District Dental Society, and the Stonegate Dental Study Club. 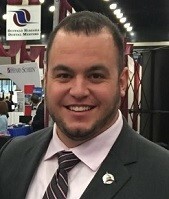 Dr. Andolina Jr recieved his undergraduate degree from The Ohio State University and his Masters degree from SUNY Buffalo. Following completion of his masters program, Dr Andolina received his dental degree from the UB School of Dental Medicine. Throughout his education, Dr. Andolina was very active in organized dentistry holding multiple positions nationally while still remaining active at the school as student body president. Following dental school, Dr. Andolina completed a general practice residency at Ellis Hospital in Schenectady NY and returned to Hornell to join our practice in August of 2014. Dr. Andolina Jr is a member of professional organizations that include the American Dental Association, New York State Dental Association, and the 7th District Dental Society, where he is currently serving on the board.